The other day I decided to organize my one and only recipe binder. Most recipes I look up online. A few I take from cherished cookbooks and an old 3-ring, 1-inch recipe binder I’ve had for years. I found myself wanting to organize the binder recently after it took me a little too long find a recipe I needed. Being organized is all about developing an organizing habit. It requires a thought, a motivation, an acton and a result. Developing an organizing habit comes from a desire to continually survey your environment and be willing to improve your surroundings so you can function on a day to day basis with more ease. It takes a willingness to regularly decide whether or not this thing or that still serves you or adds value to your life. Once decided, it then should be followed up with action – a choice to retain and store it logically and aesthetically, or to let it go to to find a new life somewhere else or to dispose of it safely and conscientiously. It’s not easy. Even sometimes for an organizer. I had no strong motivation, nothing forcing me to undertake this little project. I also realized if I wanted to find a recipe in the binder, I still could, if I was willing to tolerate the inconvenience of looking for it (I was). There were other more pressing priorities in my life. I’d just returned from a trip to New York and was still adjusting to the time change and catching up on my to-do list. Now back home, I realized, “I’m tired.” I thought it would be nice to get this done, but it wasn’t really necessary right now. I can live with it the way it is. Further, I just didn’t have the bandwidth to make decisions or take on any actions. 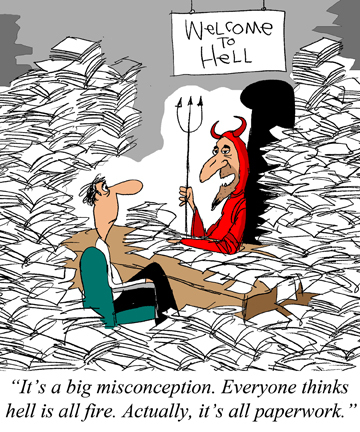 This, I thought, is just how my clients feel. I frequently meet people who when they find out I’m a professional organizer will say, “oh, I need you!” but in fact they really don’t because they’ve learned to live with and tolerate their cluttered closets and messy garages. They put up with the fights with their kids or their spouses. Or they just don’t feel like doing it even when someone can do it for them because it’s one more thing on their to-do list. Most people realize the time to get help is when the disorder exceeds their ability to tolerate the consequence. It’s when it costs them more in money or peace of mind to do nothing. Sadly, this is also when they are least equipped to take on the task. Like me in that moment with recipe binder, they are just too tired and there’s too much else they have to get done first. Think you want to organize your office? What’s it costing you not to? What can’t you do now? How would it help you if you could find what you need when you needed it? Want to organize your kitchen, living room or closets? What’s it costing you not to? Are you unable to prepare a meal? Are you fighting with your spouse because there’s no place to sit and play with your kids in your living room? Are you feeling sick to your stomach every time you open a closet, cabinet or cupboard because the mess is unbearable? Are you moving and waking up nights thinking about how the heck you’re going to get all the stuff from your 2,500 square-foot home into a 1,200 square-foot condo with no garage!? I often say to my clients, don’t let the small stuff get in the way of the big stuff. What I mean by this is consider the cost of not taking action. If it’s small, like my deciding not to organize my recipe binder right now, there is relatively little consequence. But if you defer taking action or decide you can do it all yourself, consider the cost to your health, your marriage, even your dreams and goals. For those large painful organizing projects that are impeding your life or causing you great stress, it’s not whether you can afford to do it, it’s whether you can afford not to. Have you dreamed of having a tidy, organized home or resolved every year to be more organized? 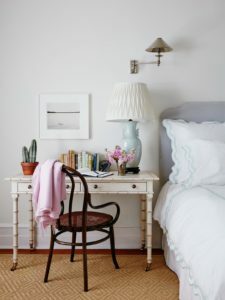 There are literally thousands of books, magazines, articles and blogs (mine included) that will offer you all types of tips and ideas for how to live a more uncluttered, organized life. If I were to narrow it down to one, very simple idea it would be this: Less stuff. 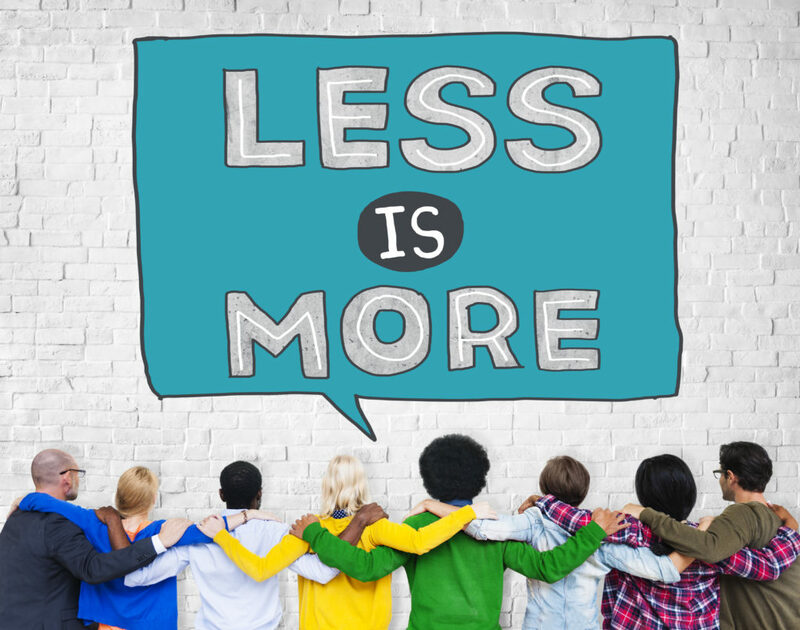 Here’s just a handful of reasons why having less will actually give you more! Less of what is cluttering your life! I could probably go on and on because the benefits of having less of what you don’t love or need far outweighs the burden too much unnecessary stuff often brings. It’s not about “minimalism” unless that’s your thing. It’s about choosing, every day, to love what you have and only keep what you need and use! Just because something “can be used” doesn’t mean you should keep it. When was the last time you used it? What is the likelihood that you will use it? If you haven’t by now, chances are you won’t. Do a web search for “donate stuff near me” and you will find a great list of charities eager for unwanted items in your community. Editor’s Note: This is an introduction to the system I created to help people who struggle with too much paper. Believe it or not, there are only three kinds of paper. 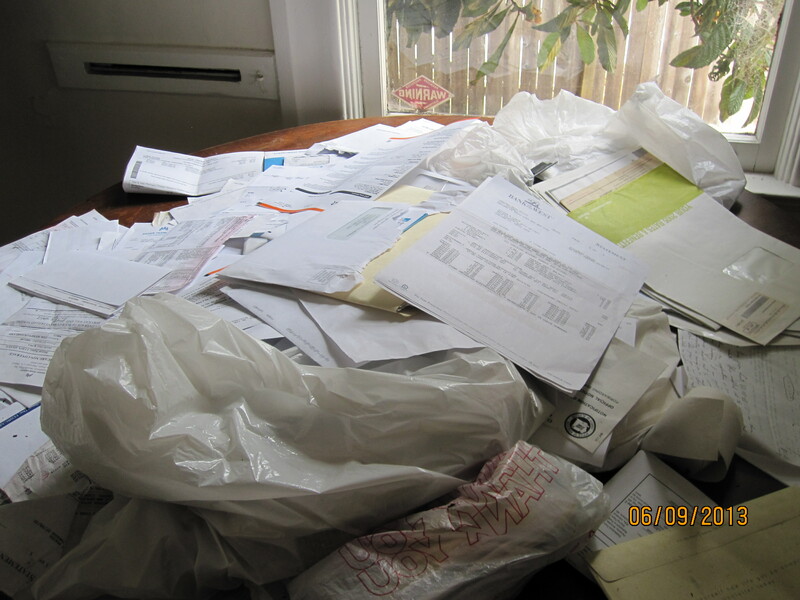 Most people get stuck in paper clutter for three reasons. They hold on to it with the intention of doing something with it “someday” but never do. Unless you take some kind of comfort from having a lot of paper around you, I’m going to assume you would prefer to have less. The ACT system is actually quite simple. It just takes a little practice. The key to it is remembering that the goal of the system is to minimize the amount of paper you actually keep. If that’s not your goal, then consider what value all that paper has in your life now? The ACT system is an acronym for Action, Contain, Toss. Paper you act on is either a task or a project that’s worth your time to complete. Paper that has no value to you should be tossed or safely disposed of. Does it display any personal or confidential information that I would not want others to see? If not, then you can Toss it. Otherwise shred it. The key to taming your paper monster is making the ACT system a regular habit. Minimize the amount of paper you keep – what may have been important last year may not be now. It’s okay to let it go. Maximize the amount of paper you toss – and protect your identity as you go. If you’re not sure, ask a professional. 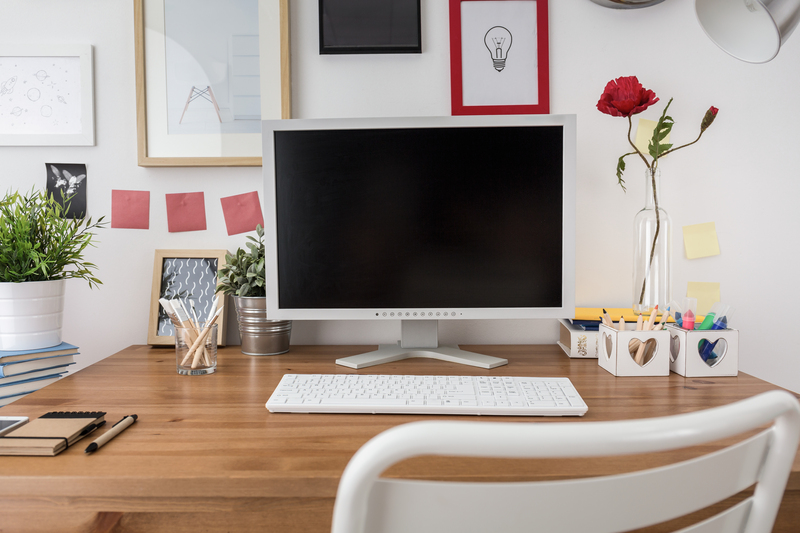 Make peace with your paper piles by incorporating desktop containers, files and other organizing products that fit your own personality and style. For more help on how to get organized at home, call us to schedule a visit.